CANADA -- Have you ever wondered what it would be like to climb a tree like a squirrel? Well here's your chance. A Canadian squirrel with sticky fingers finds a GoPro camera on the ground and decides to take it for a stroll up a tree. 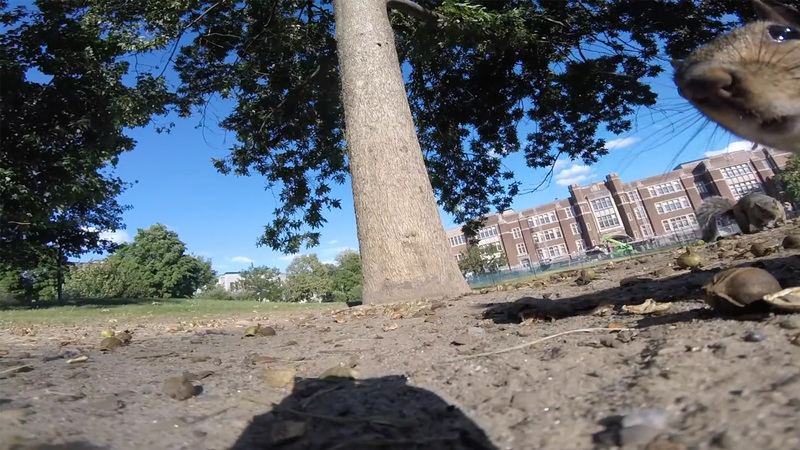 Resulting in some very cool POV video, giving us a taste of what it's like to be a squirrel. After a few minutes the little critter drops the camera from the tree allowing it's owner to retrieve it. The GoPro enthusiasts picks up his camera and gives a thumbs up saying "That was a good one."